Thread: Choosing first machine - Gaggia New Baby Dose, Krups XP52 or Rancilio Silvia?? I, as a long time coffee snob but newbie relating to machines want something really decent quality that will be long lasting (I will take care of it to best of my abilities) and produce cafe style coffee once I master the art. Question is, do I go for a Gaggia New Baby Dose (2007), Krups XP52 or Rancilio Silvia (V4)?? Can anyone please highlight differences for me regarding quality and ease of use? I really like the fact the new baby and XP52 allow for programmable memorisation of water required as I know this will be a help to me, but the XP52 is made in China (although it does heat up fast with a thermoblock). I am also tending away from Rancilio as I can get the New Baby and XP52 for $100 second hand and can't really afford the Silvia new. Interested in any opinions, advice and experiences please. You need a lot of money to buy a new Rancilio Silvia (about $800), but it will last. Another machine of similar quality would be Lelit PL41 (about $750). The Lelit Combi combines a good grinder with a coffee machine, but your at about $1000+. 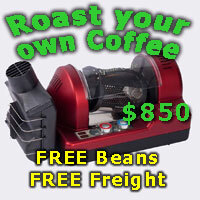 Maybe you could find a good used Rancilio or Lelit in your price range. Lots of people just upgrade from these machines to HX or dual boilers, or give up. The Gaggia's boilers are usually an Aluminium top and brass bottom. Not sure about the Gaggia New Baby Dose (2007). They corrode from galvanic reaction with the brass sacrificing the aluminium. Generally the corrosion leads to junk forming on the bottom of the boiler that causes blockages in the small orifices in the machine. You may get 5 years out of it without major issues. They are not great steamers due to the small boiler size and crappy steam attachment. They are not really a long term solution for durability. Don't get me wrong I used a Gaggia Baby 1995 for about 1.5 years at work. It made really good coffee. I didn’t really do steam for milk, but espresso was good. Never touched the Krups and don’t know.